The DOOHAN i-Tank Electric Scooter Manual PDF is above this page. 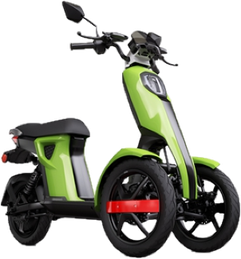 Electric Doohan iTank is a city tricycle electric moped of high comfort, which is perfect for a city, cottage settlements, villages, golf courses and similar terrain. Doohan iTank is the world's first luxury three-wheeled electric scooter at an affordable price and with excellent assembly and build quality. Has a wide range of colors, accessories (for example, trunks) so you can choose your own Doohan to your liking and for certain purposes. High technologies huddle in the compact form factor of the iTank case. For the movement of this handsome responds the Bosch-type direct-drive engine with a maximum power of 2350 watts. Its torque is 128 N.m. He is able to start an electric scooter on a hill with a slope of up to 15 degrees. The motor is controlled by a highly efficient vector controller with a maximum current of 45A. Due to efficient engine management, the battery consumption is reduced, while at the same time performance is not affected. The battery Li-ion 60в 26Ач on elements Panasonic or LG (depends on delivery), collected in the technological, compact case feeds all this business. This battery is enough for 100 km mileage, provided the speed of 20 km / h. At driving on the maximum speed of the accumulator will suffice on the average on 50-60 km. Battery charging time is 6 hours. Battery life is 5 years or 800 cycles. The battery is quick-detachable, it can be charged separately, at work or at home, but it weighs only 9 kg. Electric scooter iTank has a lot of its technological developments. One of them is a patented front suspension with dual front wheels. Doohan is equipped with all necessary lighting equipment - a headlight with a luminous flux of 1200 Lumen, front running lights Led, a rear headlight Led with a stop signal, turn signals. Read - E-TON Manuals PDF. The electric scooter simply has a huge mass of different cases for the load, and even with the trunks one can generally go on a trip. Comfort is achieved through a very soft seat and well-functioning shock absorbers. Enough big wheels allow it to move both on dirt roads and on asphalt, and there, and there you will be comfortable. Well, and of course, it's worth mentioning about the brakes, here they are excellent. 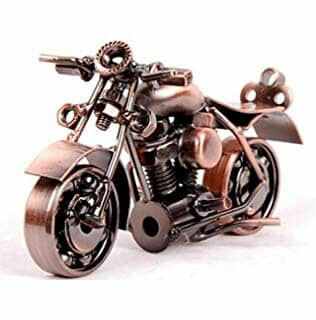 Motorcycle hydraulic disc brakes in front and behind will give you confidence in the trip. What can we say about this device? At first glance it seems that this is a big toy, but it's worth starting to use it and you will realize that it will always be used. First of all, we do not forget that the electroscooter differs from an electric bicycle or an electric locomotive with increased comfort, spaciousness and controllability. This is important to consider when comparing it with other types of electric transport. So, why do we need an electroscooter and what are its main advantages over other types of mobile electric transport? Read - EVOKE Manuals PDF.